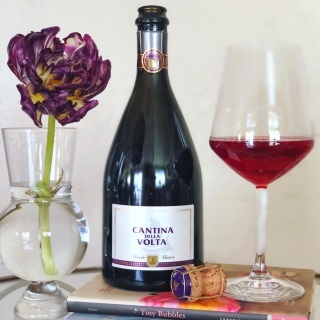 Bubbly lovers, I’ve gotten your feedback, requests, and questions–and I’m here to let you know I’m listening! 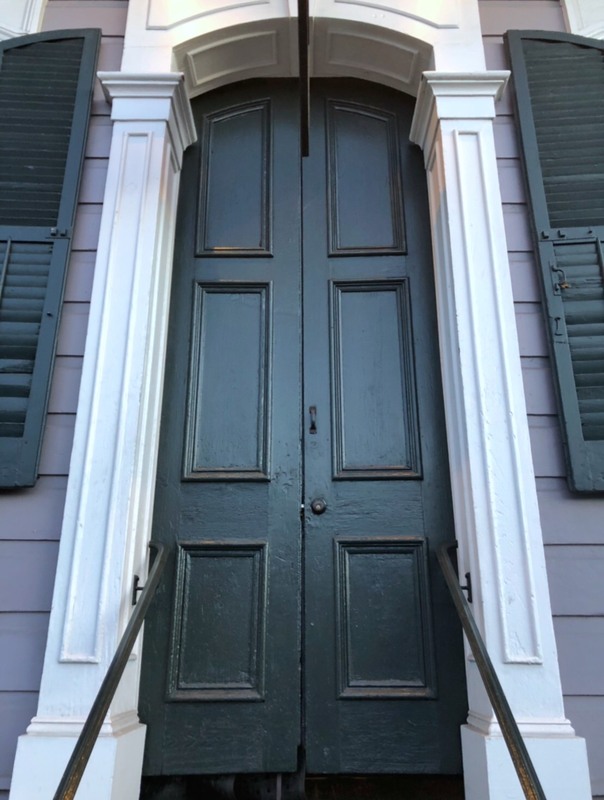 That said, in an effort to delight you as requested, I’m going to start sharing more of my #BubbleistaApproved “effervescent picks” of the most fab food & drink spots, places to stay, and things to do that I often discover when I travel so that you can level-up your plans when you travel, too. 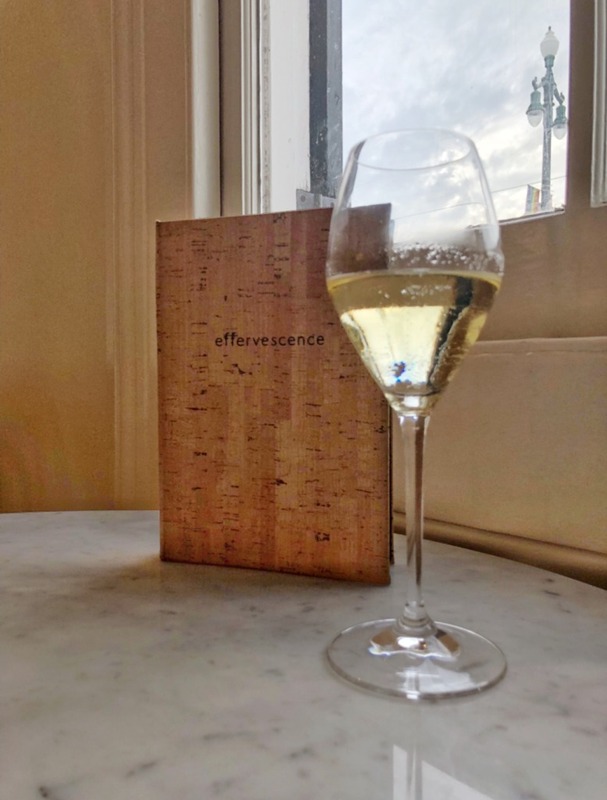 And that, my dears, is exactly why I’m sharing my recent adventures at Effervescence Champagne Bar in New Orleans. 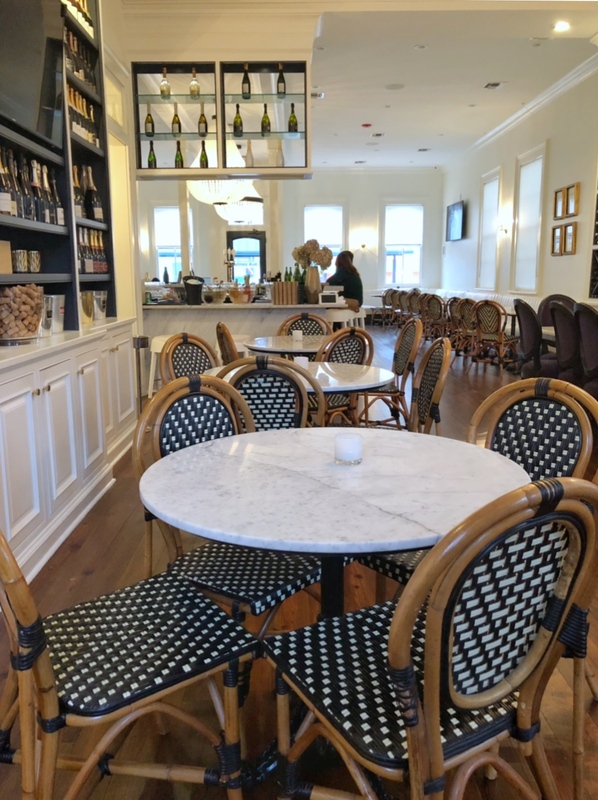 I was smitten with this place instantly from the moment my feet crossed the door’s threshold! It is everything I want from a fab bar experience, from the airy and light-filled space, to the interior design, to the extensive champagne list, to the chef-driven food, to the craft cocktails, to the infinitely gracious staff that makes you feel right at home and like you never want to leave. 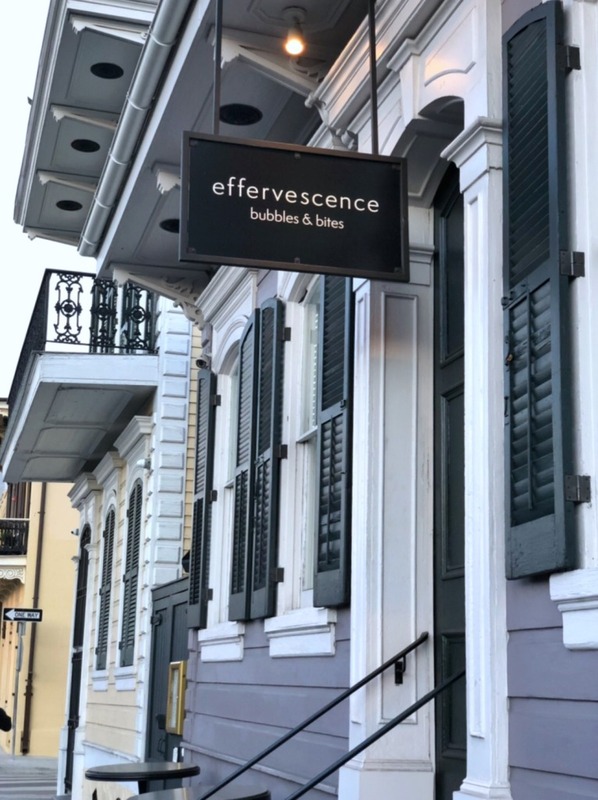 Located on Rampart Street, Effervescence is right across from Louis Armstrong park and is a historic renovation that was done beautifully. 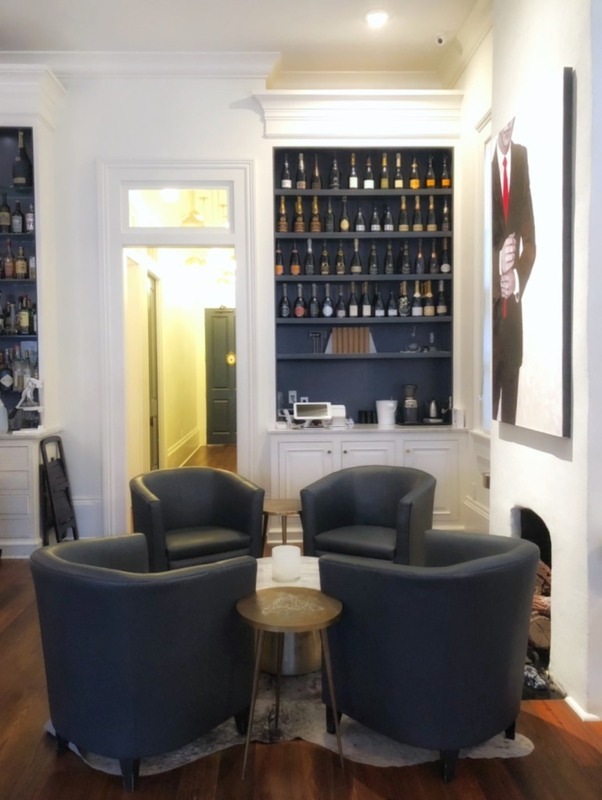 Fortunately for me, I had the pleasure of chatting with the owner herself, Crystal Coco Hinds, to get some up-close-and-personal behind the scenes info about this fantastic spot. Now can you understand what I mean? 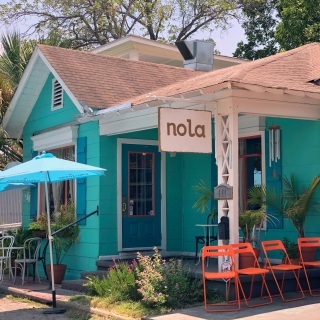 It’s special enough to make it a destination for dinner, but approachable and comfortable enough to be a neighborhood hangout. ‘Tis perfection, I tell ya’. Isn’t this gold bar and vintage chandelier EVERYTHING?! 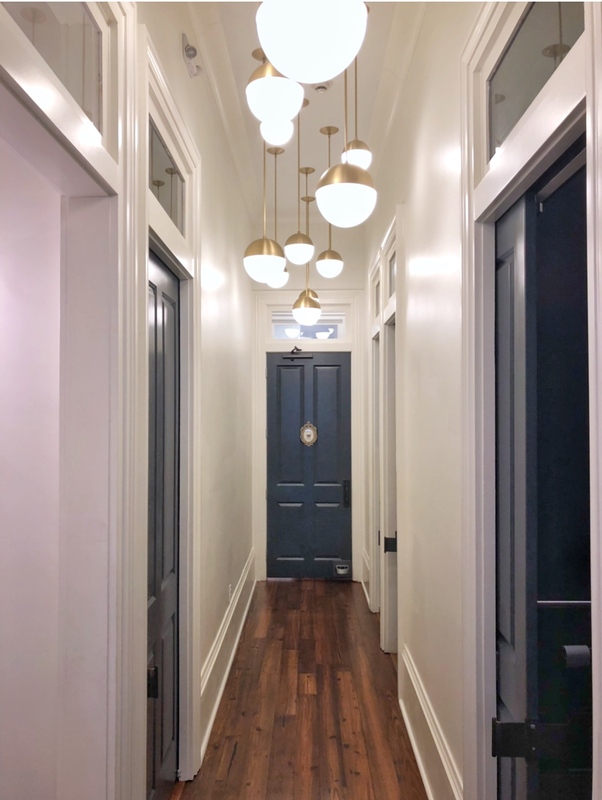 I love the lighting details leading to the restrooms that are reminiscent of bubbles. 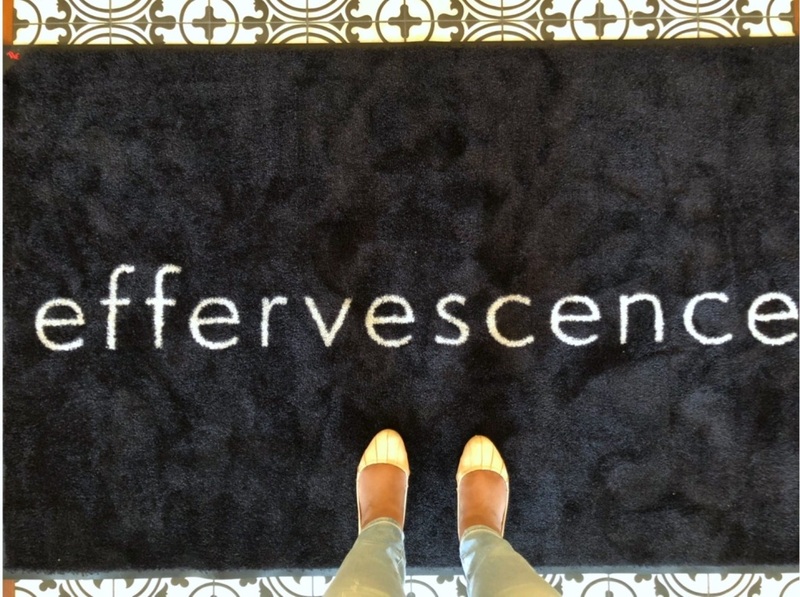 Further adding to Effervescence’s sublime ambiance is that it has a working fireplace (which makes it an absolutely perfect place to leisurely spend a cold, rainy afternoon) and they offer live music every Sunday. 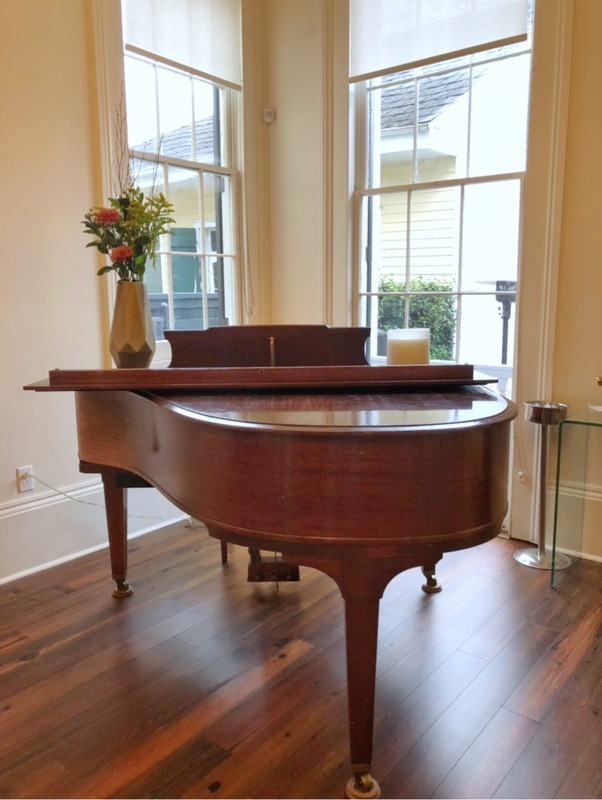 Listening to live music while sipping bubbly while snuggled into a cozy, comfy, cushy club chair by the fireplace…what could be more heavenly than to spend an evening like that? 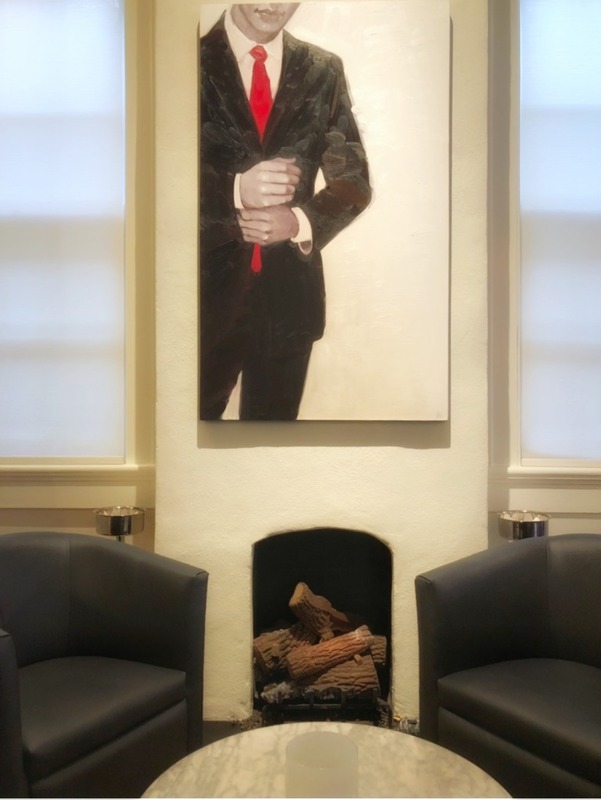 I can just picture myself cozied up by this fireplace with a bottle of bubbly. 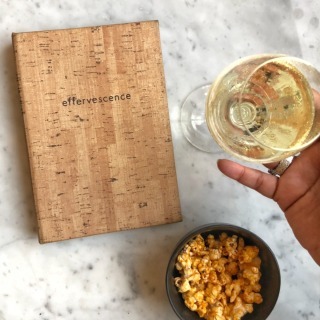 Effervescence is serious about it beverage program and food offerings. Their wonderfully curated bubbly list includes over 90 bottles of champagne and sparkling wine and is nicely varied, including some fantastic grower champagnes and unique sparklers from different regions. 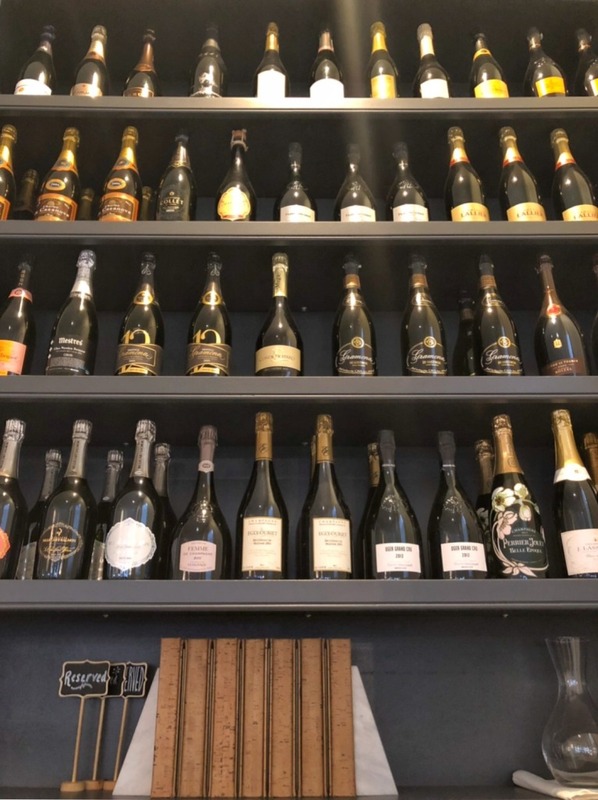 They also offer several bubbly flights and wines they offer by the half-glass. 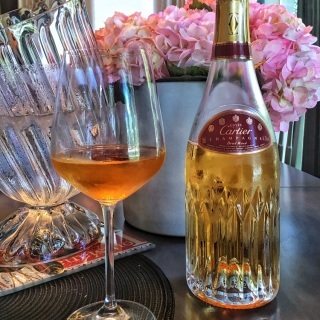 Crystal also mentioned that they regularly offer by-the-glass pours from magnums, which is super cool. 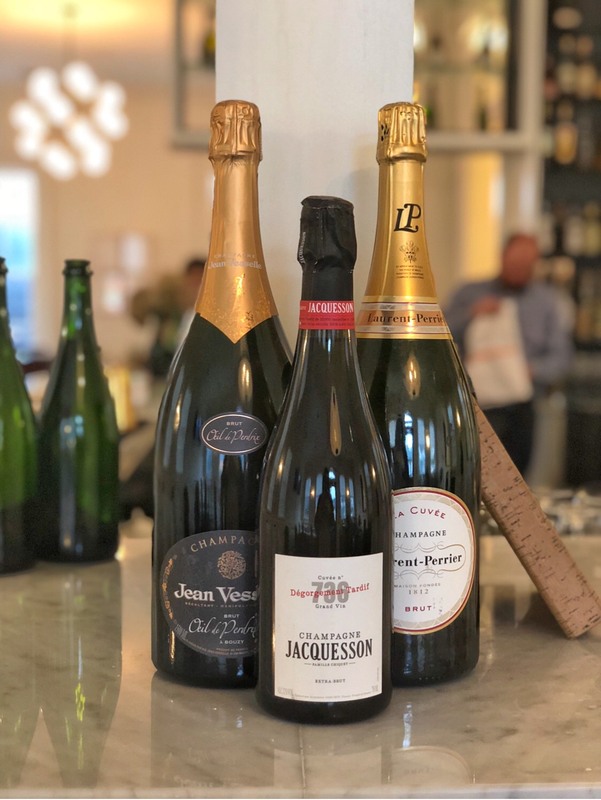 If you’re wondering why that’s a big deal, I had a wine professional tell me a few years ago that Magnum bottles are the best one for champagne because the surface area of the champagne in ratio to the amount of air in the bottle that it comes in contact is optimal in that size bottle (for champagne nerds, the website Vinepair goes into more detail–click here to check out the article). 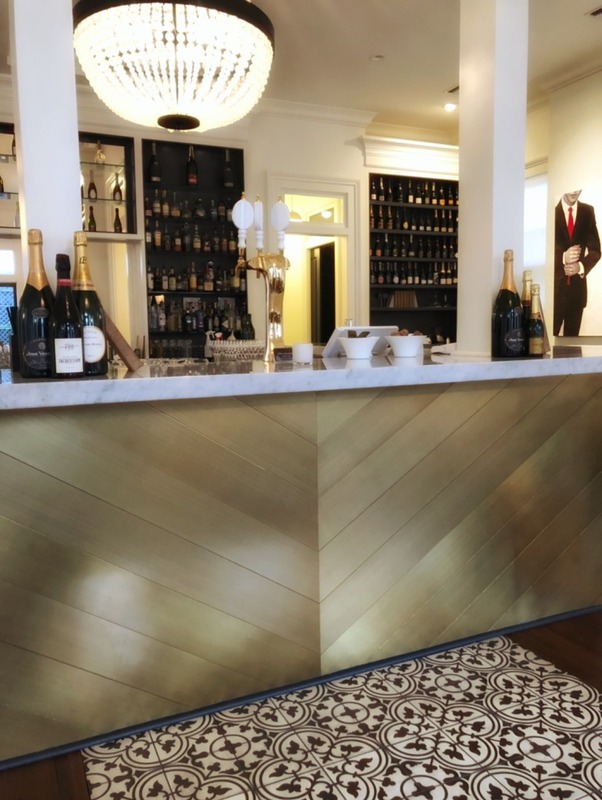 Effervescence Champagne bar stocks an amazing variety of Champagne Houses and sparkling wines. Then there are the fab cocktails. 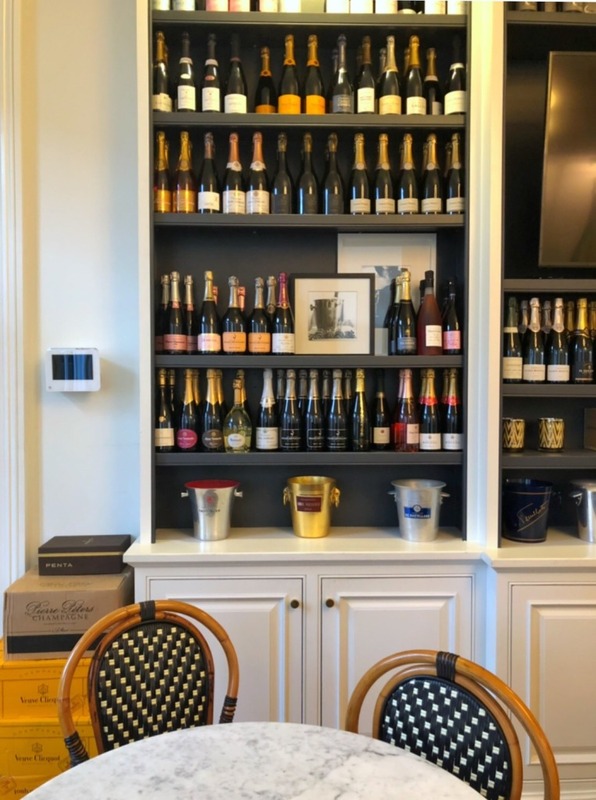 In addition to their deep champagne list they are also a full service bar which means they can make any classic cocktail you want in case you want to entertain some sips other than–or, in my case, in addition to–wine. Crystal mentioned that the make their own syrups for their cocktails, which is an indicator how committed they are about quality. 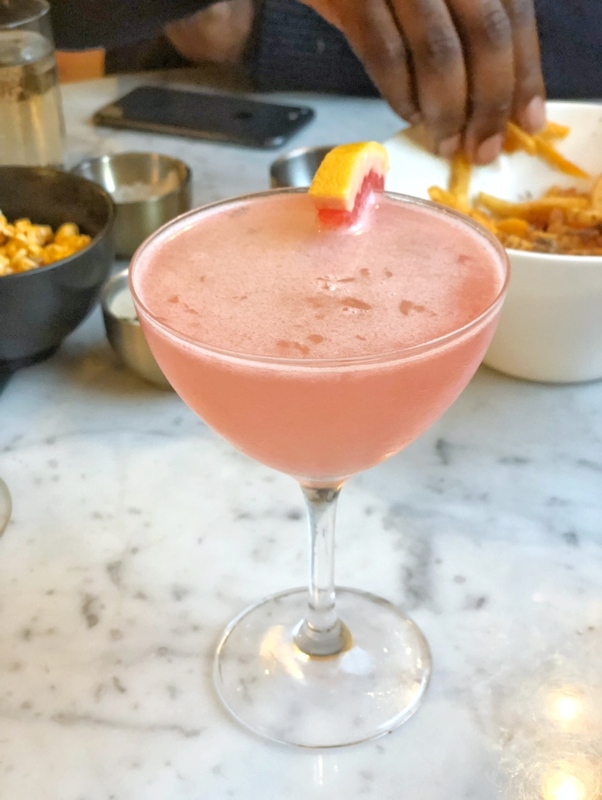 Personally I found the cocktails to be fresh, balanced, and delicious–and work venturing off the wine list for a bit! If you’re wondering whether the same level of attention given to the wine is put into the food, let me start by telling you Effervescence has Michelin star chefs that have consulted on, created and prepared their menu. They actually have a seasonal menu, which is easy for them to execute since they have their own farmers, their own dairy, and they bake their own bread! 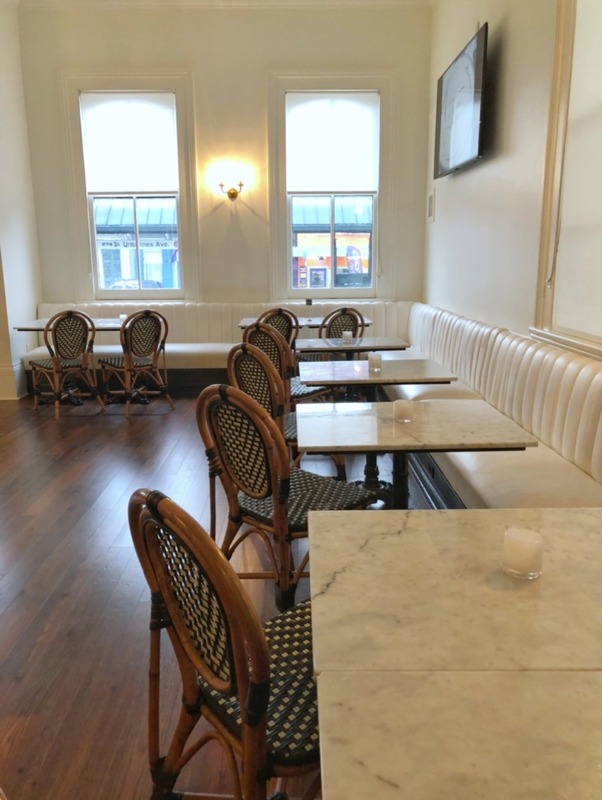 The menu also includes options for the vegetarian and vegan peeps, who will feel right a home here with thoughtful options such as crispy Brussel sprouts with cashew cheese dip. 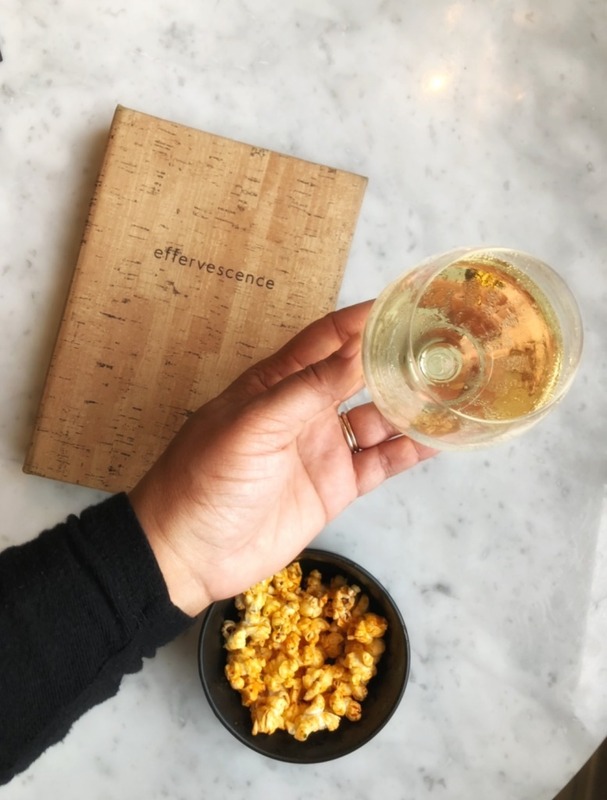 They serve also serve complimentary seasoned popcorn which, of course, is a perfect match with bubbly–and one of my personal favorite snack pairings. 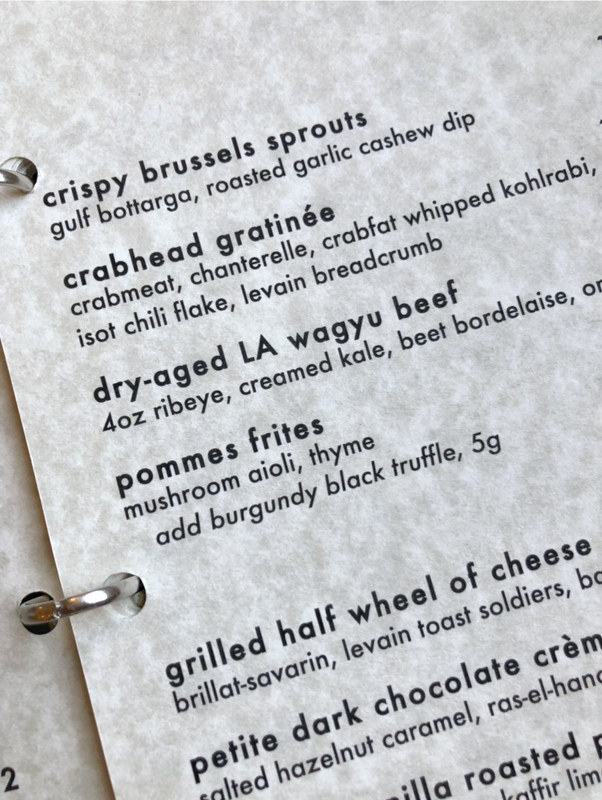 In addition to popcorn, one of my other fave pairings is hot, salty, crispy french fries “(pommes frites” for the Francophiles in the house, lol) which Effervescence prepares wonderfully by adding freshly shaved black truffle. 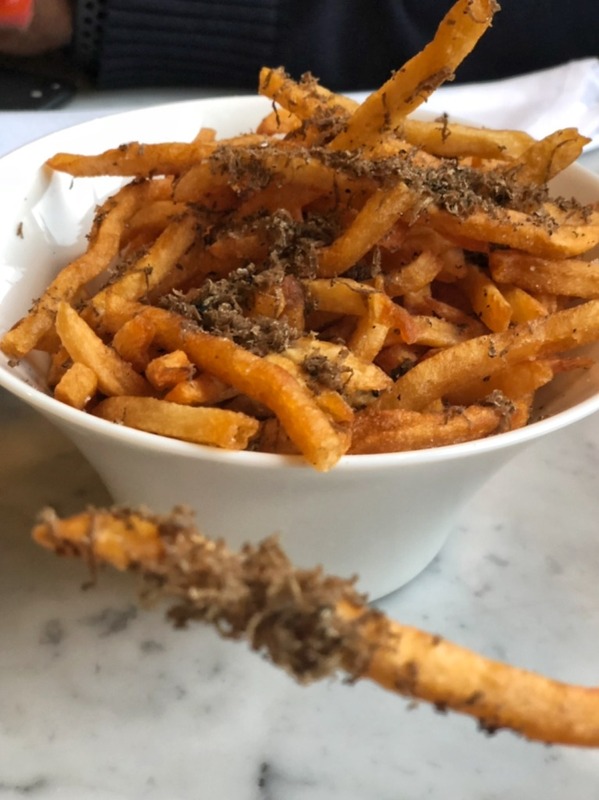 And any place that allows you to add fresh shaved truffles to you french fries is perfection in my book. The levels of “truffle-ness” are the stuff culinary dreams are made of. Look at this menu! Hello, truffle fries and Wagyu steak. 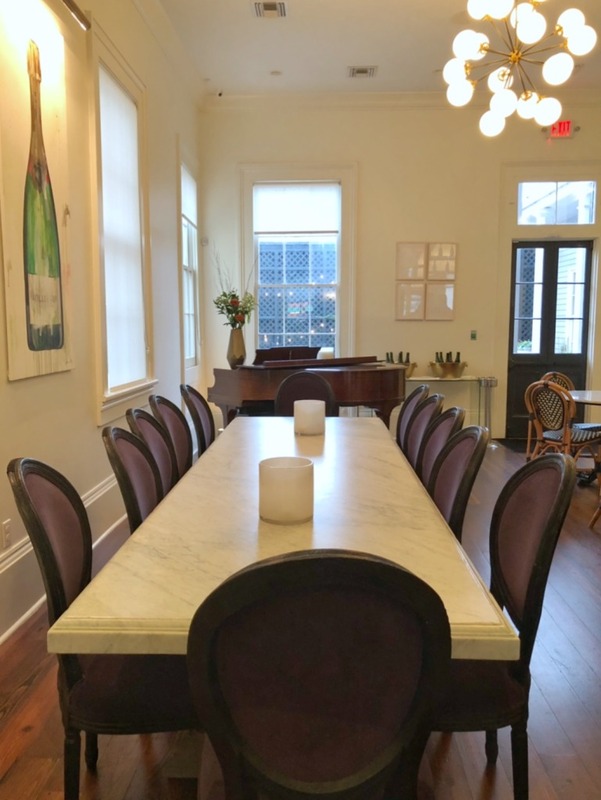 The creme de la creme is that they have a “Champagne Sharing Tasting Table” for 12 people (with a $1,000 minimum) that you can reserve. 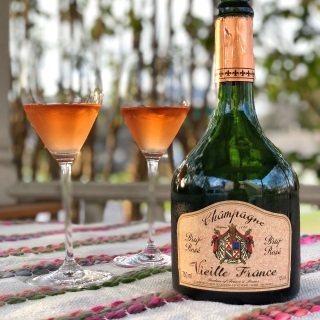 You get your own chef that creates food courses especially for you to pair perfectly with your champagne selections. It’s an ideal option for special occasions. 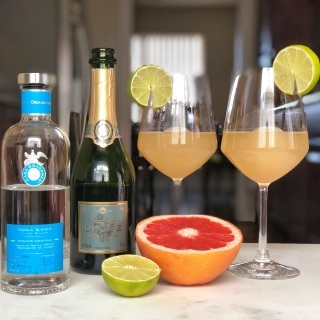 Like feting your favorite champagne lover named The Bubbleista. The lovely Champagne Sharing Tasting Table I hope to make use of soon. 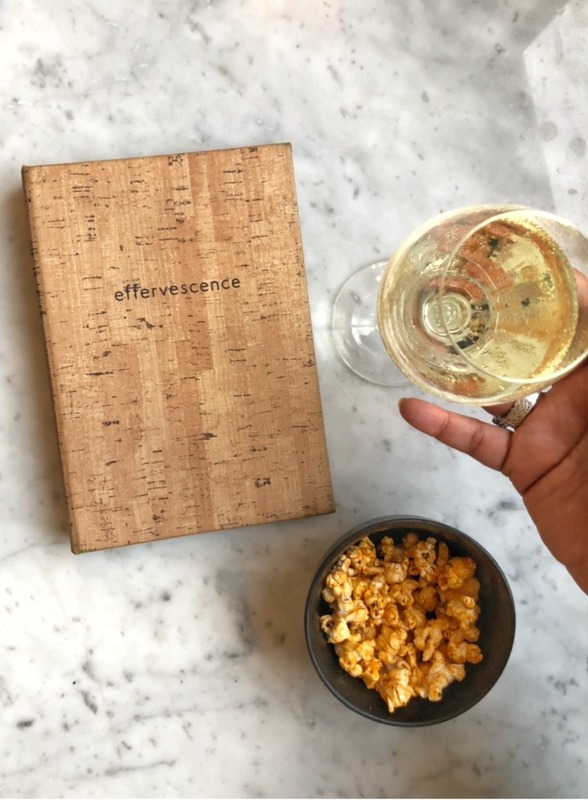 Without question, Effervescence will be on my absolutely, positively “must stop” list every single time I visit New Orleans, and it should be on yours, too! If Effervescence is the kind of spot you’d love to hang out in too, then be sure to hit me with a comment on Instagram and let me know! 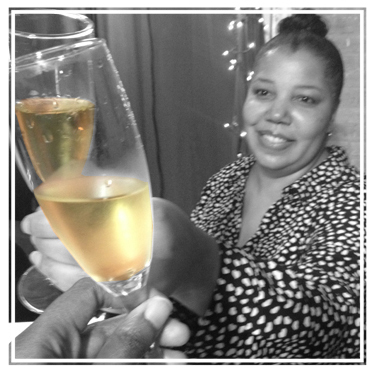 Cheers, bubbly lovers!